The grass is always greener on the other side. It’s an old phrase that encourages people to know that there are better options available and that things can improve. When it comes to moving home it is a good adage and can be even taken literally. Sometimes however, we aren’t willing to take that step towards something better. We are held back by worry and doubt that it might not work out or that it will be too much work. This is a shame because moving to a new home or office should be an exciting occasion that can bring new and positive opportunities and change your life. If you want to move into a new area, find a bigger building and just improve your home or office, then a move is for you. You may think it’s hard work but if you recruit Man and Van then we can make it easy. Simply by calling us on 020 3743 9354 we will start to answer your questions and give you advice on your move. We can give you a rundown of our services and find out which ones you need. We can help during any part of the move, whether it’s right at the beginning or towards the end, but we will be there for you every step of the way. When you’ve decided how you want our assistance then we can offer a free, no-obligation quote. 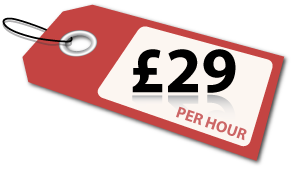 Our prices are fair as we avoid rigid packages, meaning you only pay for what work we do. Our range of services includes everything from offering you packaging and containers which we can use to cover your belongings, removing your goods from your home, loading them onto vehicles which we can provide, getting them to your new address and setting everything up for you. We also have storage facilities where we can hold onto your goods if required. If you’re moving into South East London then you want to know more about the area and if you’re leaving you should know what you’re missing out on. The alterations to the London Plan in 2008 divided the London into five different parts – North, North East, South West, South East and West. South East London is south of the River Thames and is home to 1.3 million people, with half a million people working here. It borders Camberwell and Brixton and the main parts of this area are Bexley, Bromley, Greenwich, Lewisham and Southwark. There are many metropolitan centres in SE London, each being found in Bromley, Orpington, Eltham, Peckham, Bexleyheath, Woolwich, Lewisham and Catford. The postal codes for the area range from SE1 to SE28. South East London is one of the most affordable areas of all of London to live, with many houses available for those on a budget or who are looking for something more modest. Waterloo has the more expensive homes, with everywhere else being priced moderately. The reasonably priced housin makes this an ideal place to live for people who want to house share or are looking for an apartment. But if you want to move into the area and are willing to spend more of your hard-earned money or you want to treat yourself, then the higher priced homes are around Greenwich, Blackheath, Rotherhithe, Deptford and Peckham and Lewisham. The inexpensive homes are located within Crystal Palace, Dulwich, Woolwich, Sydenham and Motthingham. South East London boasts many parks and open spaces. One of the more notable is Crystal Palace Park, which is host to many cultural and sporting events. The first ever life sized models of various dinosaurs built by sculptor Benjamin Waterhouse Hawkins are on display here. The park was the former home of the FA Cup Final between 1895 and 1914. In 1964 the National Sports Centre was erected. It hosts many international athletic meetings as well as football, rugby, cricket, basketball and more. The area has a major focus and history with motor racing. Premier League football team Tottenham Hotspur have plans to relocate here but the entire of South East London has many football teams including Charlton F. and Millwall F. as well as various non-league clubs. South East London landmarks and places of interest include Down House, which was the home of Charles Darwin; The Crystal Palace; former Roman habitat the Crofton Roman Villa; and various bridges, including Tower Bridge and Millennium Bridge. The currently under construction Shard London Bridge, which when completed will be the tallest building in the EU, is located here, as is the Tate Modern Art Gallery, which is the most visited gallery in the world. Chislehurst Caves is a popular tourist attraction that has hosted many famous musicians such as David Bowie, Jimi Hendrix and The Rolling Stones. The legendary Globe Theatre resides here, with the original being the venue for many of Shakespeare’s plays. Don’t forget to stop at Borough Market, the most famous food market in all of London. 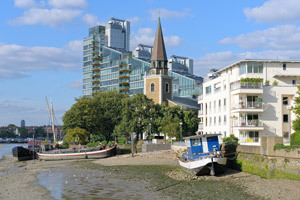 Notable residents of South East London past and present include former Prime Minister William Pitt the Younger, celebrated scientist Charles Darwin, comedians and writers Danny Baker and Spike Milligan, sportsmen Shaun Wright-Philllips and Ian Wright and musicians Jimi Hendrix, Kate Bush and Alex James. 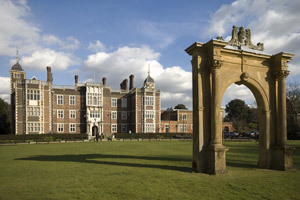 Many actors have lived in the area such as Gary Oldman, Jude Law and Timothy Spall. Other people include suffragette Rosa May Billinghurst, Bishop Desmond Tutu, billionaire Richard Branson, philosopher John Stuart Mill and co-discoverer of DNA Maurice Wilkins. So with all these great sites and activities waiting for you as well as a chance at an exciting new life then there’s no reason not to relocate into South East London. With Man and Van’s help the process will be simple and swift, with us taking care of every step and problem along the way. Our highly trained and experienced staff will assist you with the highest quality, making sure that your move is taken care of pleasantly and properly. So call 020 3743 9354 and we’ll have you in a new home without delay.